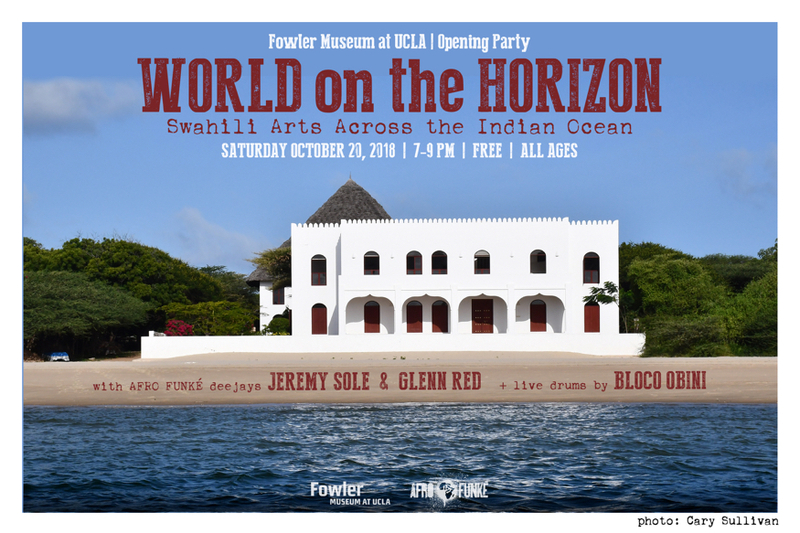 "World On the Horizon: Swahili Arts Across the Indian Ocean"
Join us for the Opening Party! 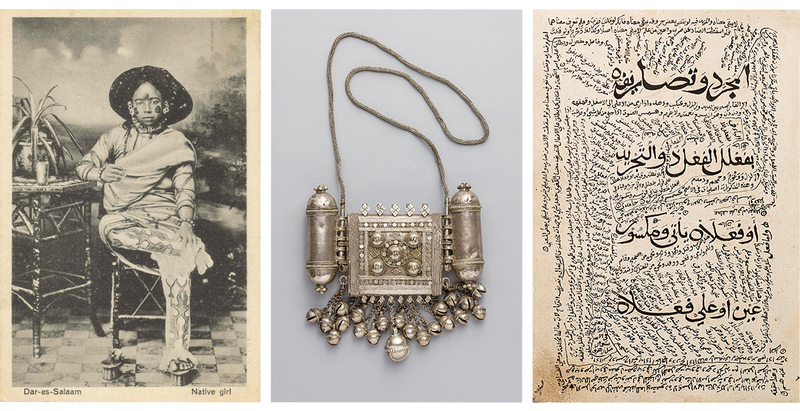 overarching themes and bring to life some of the finest objects on view. Fowler members priority seating at 5:45pm. Preview the exhibition and enjoy cocktails while Afro Funké DJs Jeremy Sole & Glenn Red spin their signature global soul grooves. At 7:30pm Bloco Obini with Kahlil Cummings turn up the party with a fiery live performance on the terrace. 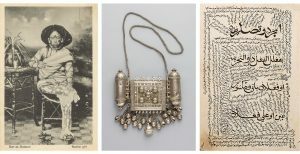 World on the Horizon is the first major traveling exhibition dedicated to the arts of the Swahili coast and features more than 150 artworks from Kenya Mozambique, Tanzania, Oman, and Yemen. Afro Funke' celebrated its 15th Anniversary in June 2108 with an EPIC party of at Grand Park in front of City Hall in Downtown Los Angeles for over 5000 fans. Afro Funke' is now a periodic event with small & large scale happenings across Los Angeles and beyond! Afro Funke' was the brainchild of Afro Roots star, Rocky Dawuni, who realized LA's need for a night dedicated to African music, culture and art and it's far reaching legacy around the world. Dawuni, who is based in LA and his native Ghana, together with talent booker and photographer Cary Sullivan created Afro Funke', bringing on board resident DJ and partner DJ Jeremy Sole (KCRW.) DJ Glenn Red was invited to be the second resident DJ and is an integral part of the Afro Funke' Sound. © 2019 Afro Funke' Night Club. Afro Funke' All-rights Reserved.